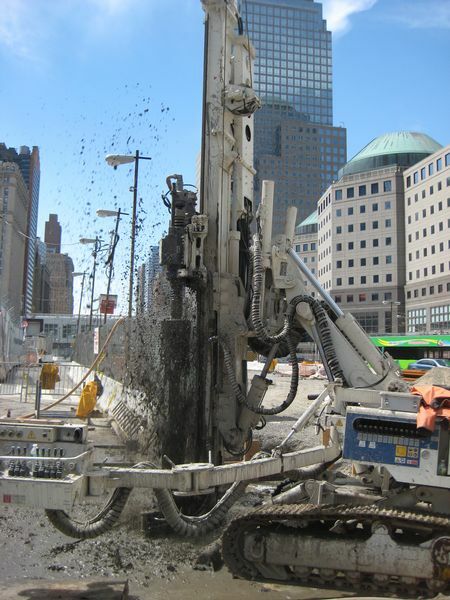 Navillus Contracting working at the World Trade Center Memorial Navillus contracting is installing 9 5/8" micro piles at the World Trade Center Memorial. 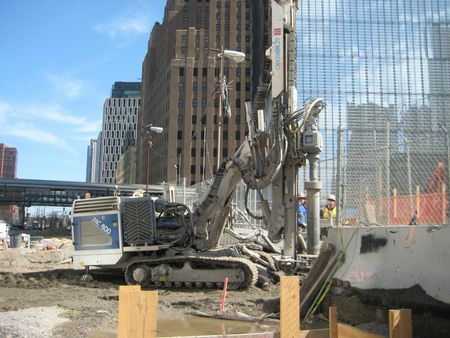 The micro piles are being drilled with a Comacchio MC800 Drill Rig provided by ICE. 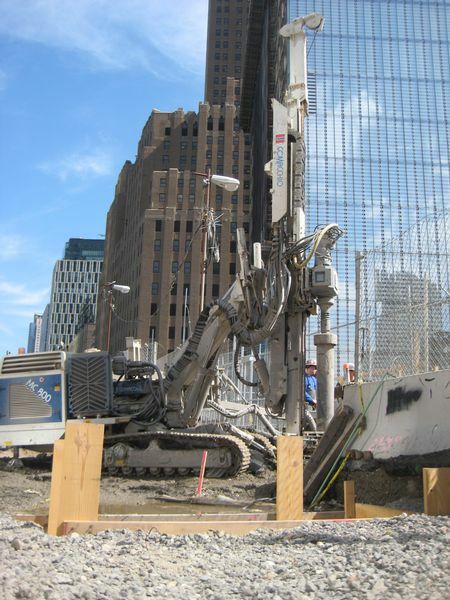 These micro piles are part of the foundation at the World Trade Center Memorial project. The foundation is for a stair case that will bring people into the memorial. 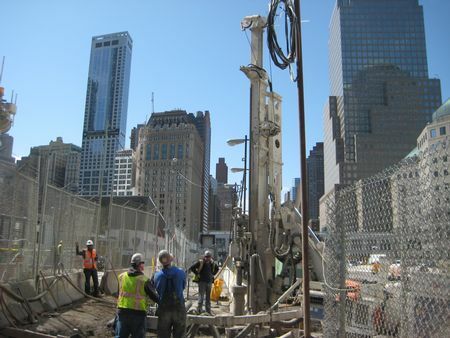 As with a lot of Manhattan drilling jobs the soils were expected to have obstructions, possible "urban fill" & eventually rock. 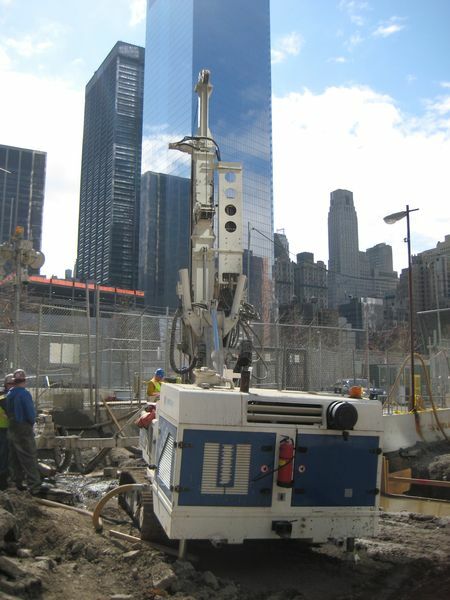 There was a tight schedule & there was only a small window of opportunity when the drilling could be done. Navillus' drill crew liked the Comacchio MC800's kinematics & performance. The Comacchio MC800 did excellent job, kept everything on schedule & made a tough drilling job an easy one.